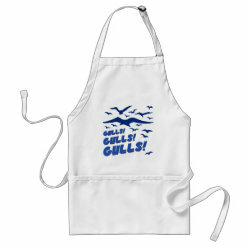 Home > Funny Birder Gifts	> Gulls! Gulls! Gulls! 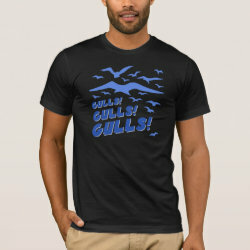 Are you a birder who loves gulls? Or maybe you fear them, because identification can be so difficult. Did I say difficult? I meant challenging. More... If you're good a gulls, nothing can stop you. 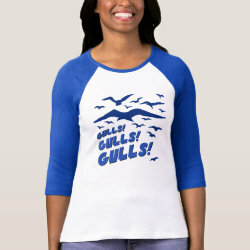 This fun design has a pop culture feel and simply reads "Gulls! Gulls! 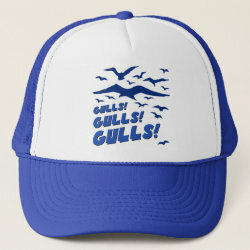 Gulls!" in a retro-style font. Flying larids in silhouette complete the design.